Your Annual Thanksgiving Reminder: Time to Winterize Outdoor Fixtures! Happy Thanksgiving from all of us at Master Plumbing & Mechanical, Inc.! 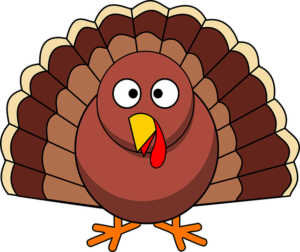 Happy Thanksgiving from all of us at Master Plumbing & Mechanical, Inc.! Just a reminder that this time of the year is when you need to shut off all outdoor faucets and irrigation systems and make sure to close off valves inside and open the valves outside so you can make sure all the water is off. If you think you have a “frost free” faucet, you still have to remove the hose from the faucet. Help avoid any unnecessary water damage by performing this important task before the weather turns too cold. Are You Leaving Your Home for the Holidays? If you are traveling this winter, shut off the water to your house and open the faucets throughout your home. This helps drain all the water out of the pipes. Turn your water heater down to the lowest setting, and if you are traveling for a long time shut water heater off. This can avoid a big mess in the event of a furnace failure or an extended power outage. This entry was posted on Monday, November 19th, 2018 at 8:36 am. Both comments and pings are currently closed.